Old Man Emu 2" Front JK Coil Springs, 2dr Wrangler (heavy load) and 4dr Unlimited (light load). Fits 2007+ 2dr JK Wrangler (heavy load) and 4dr JK Unlimited (light load). OME coil springs are formed on precision mandrels and manufactured to the highest standards. A scragging process is performed before and after the coils are shot peened to reduce stress and prevent sagging. Constant and variable rate coils are available to suit a wide variety of applications – even those you thought were impossible. 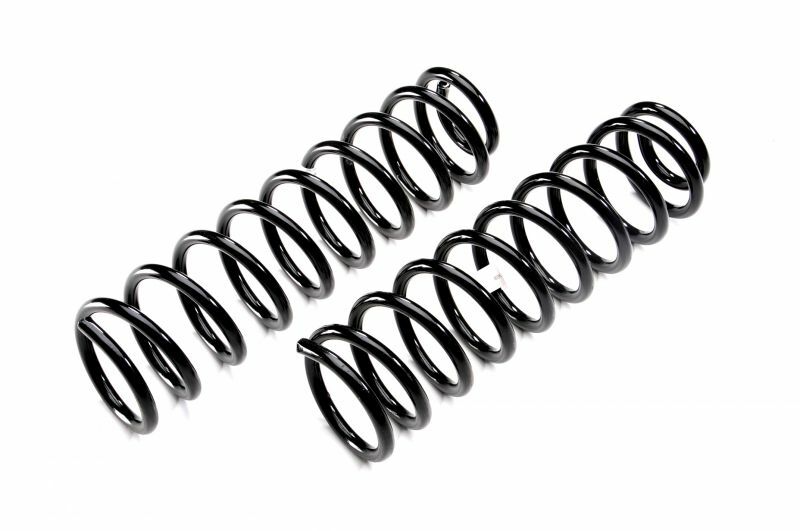 Coil spring end configurations are designed to exact specifications guaranteeing perfect fitment to your vehicle, while a durable powder coat finish provides a quality appearance for years.